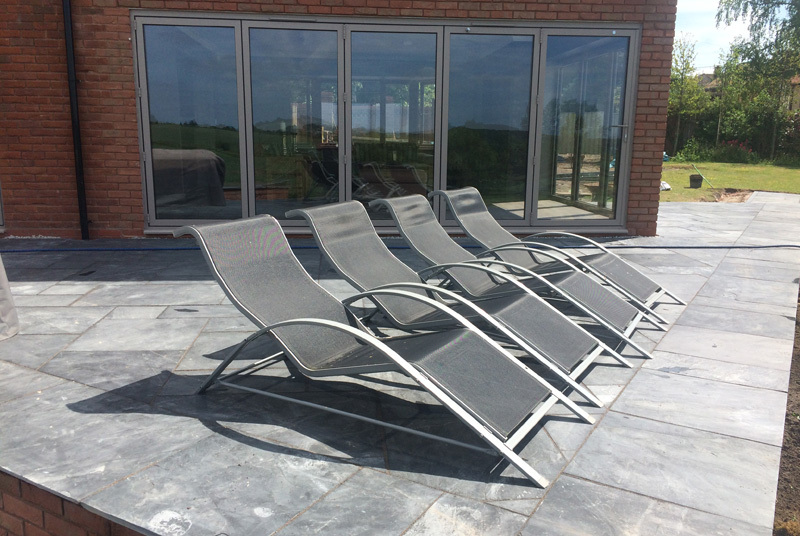 The client requested a hard-wearing, modern and functional patio for entertaining friends and family. 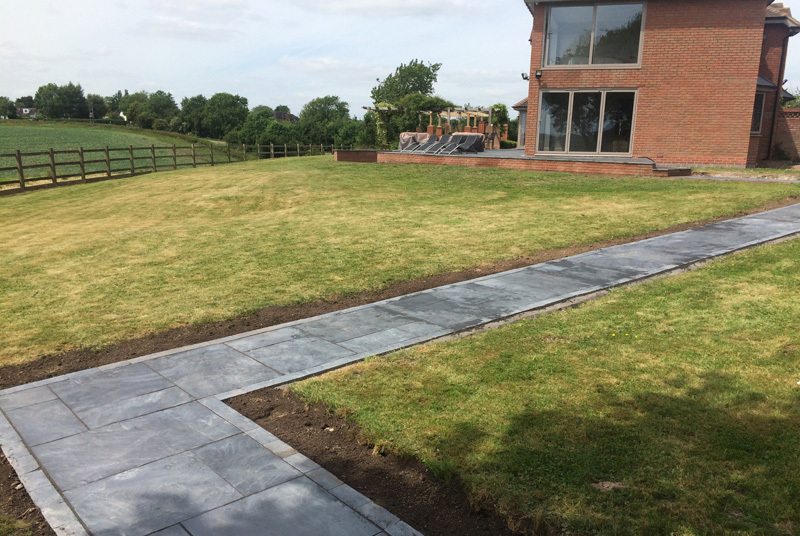 They also wanted matching pathways throughout the garden. 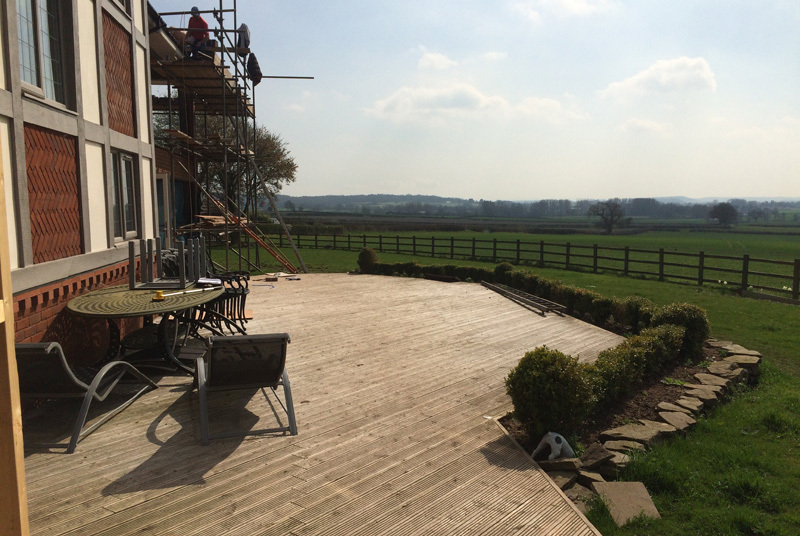 The original decking was removed and a raised modern, angular design was constructed using brick, the patio and pathways were then laid. 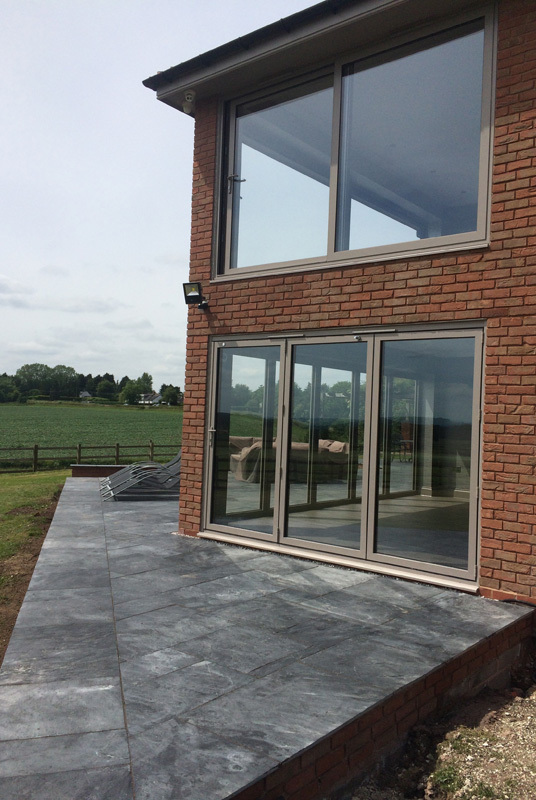 The brick retaining walls were matched to the property bricks for continuity. 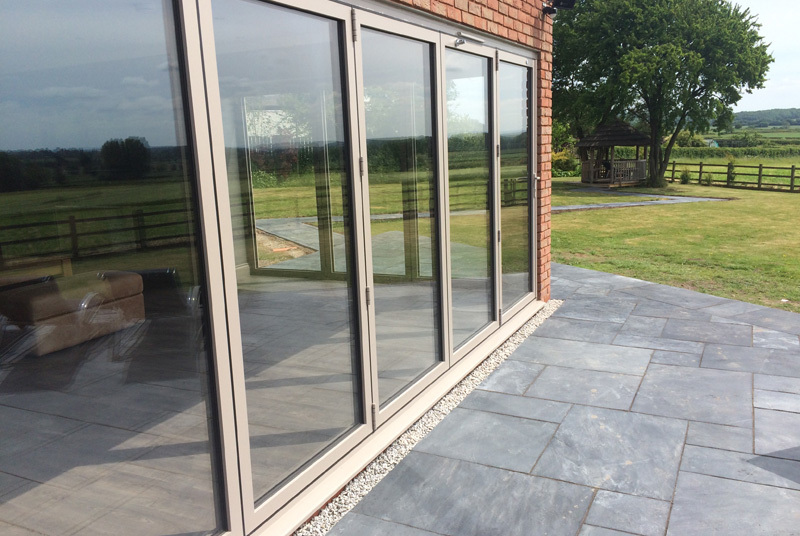 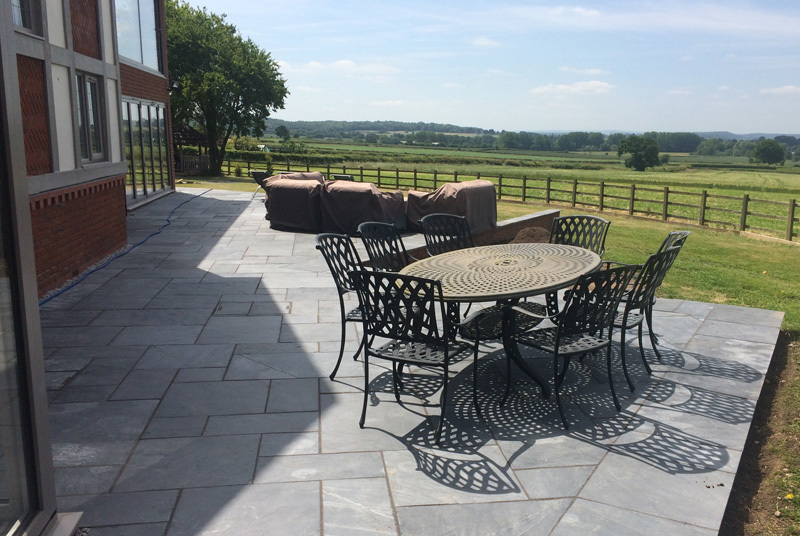 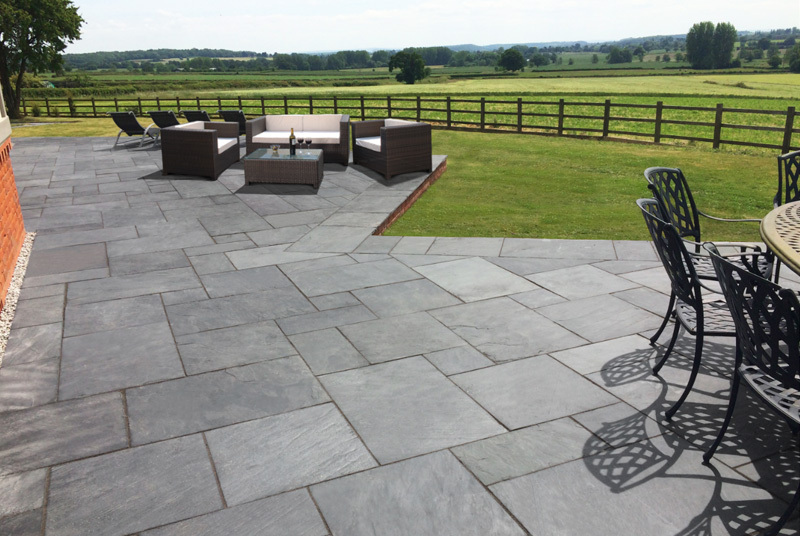 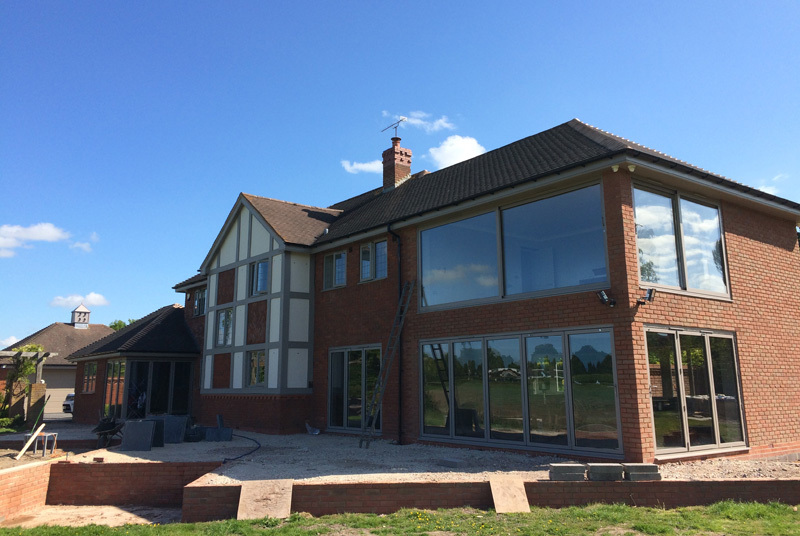 The finished project is a perfectly positioned seating area amongst the glorious views of open countryside, the ideal place for enjoying a garden party.